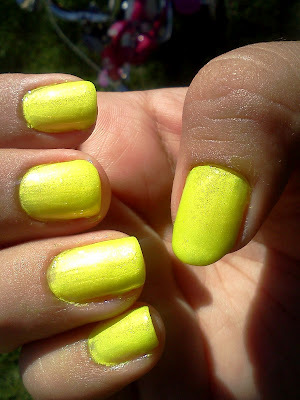 Hello lovely nail addicts!I'm excited to share one of the three neons polishes I picked up from China Glaze's new summer 2012 neon collection! Enjoy! Today, I have sun kissed. 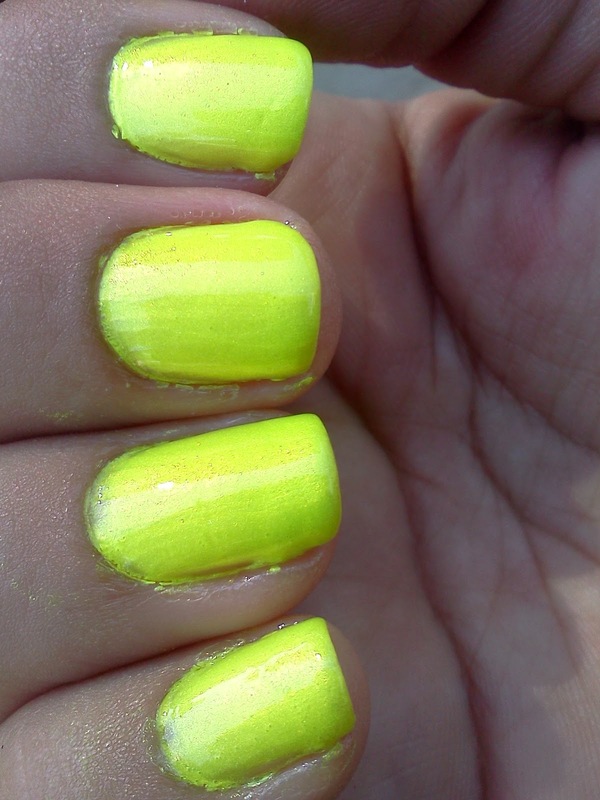 A super bright highlighter yellow with green undertones and lots of shimmer. 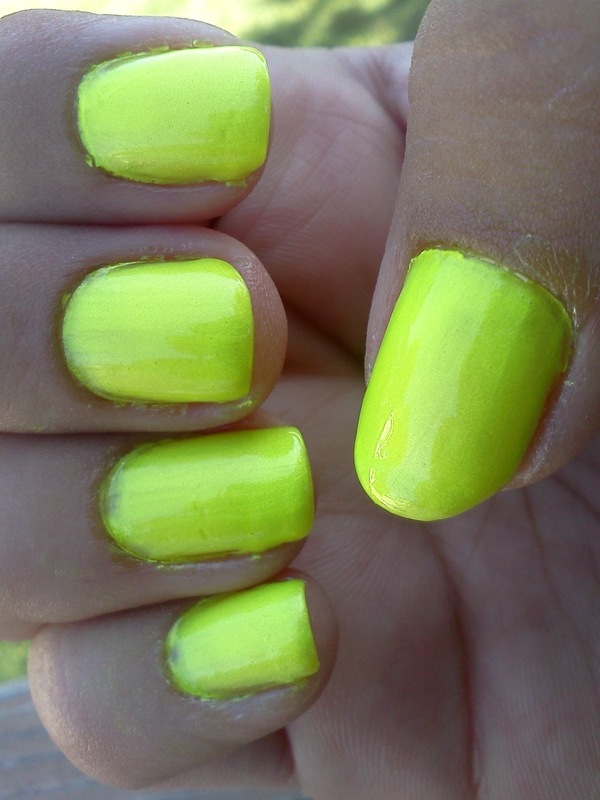 The formula is a bit thick but it is opaque in 2 coats! *Stay tuned next week, I'll be swatching I'm with the lifeguard and Splish Splash! I think I might pick up more of these! I love how bright they are. Do you guys own any? If so, which one is your fav? great color!! 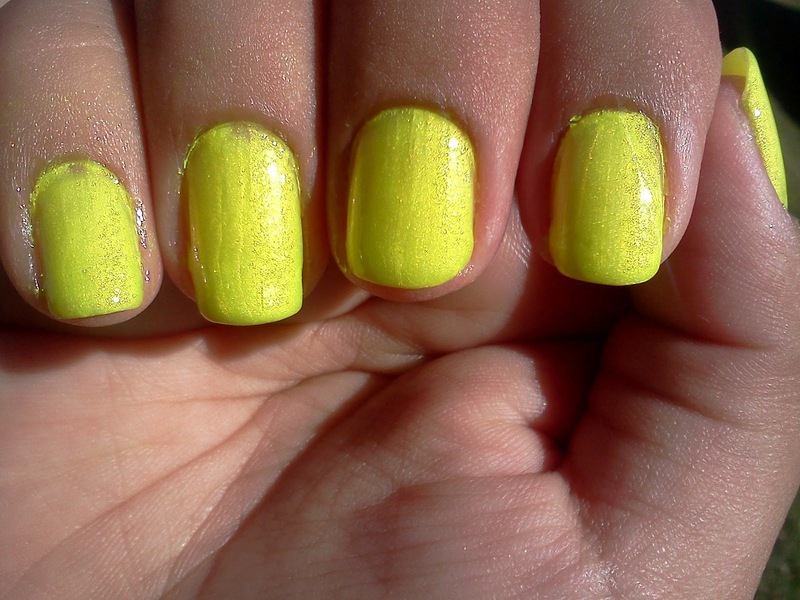 i really like china glaze sun worshiper. i think it's like the most amazing neon orange ever!!! I want sun worshiper sooo bad! lol yeah it is pretty bright! I don't have any of this collection yet but I would probably go for Sun Worshiper first. Or the green, I can't remember it's name. I have ChG Celtic Sun so I probably wouldn't bother with Sun Kissed. I want sun worshiper too! :) you're gonna love it! Such a gorgeous neon!! I love it!! Pretty neon. Looks like yellow in the first picture and in the others looks green. Should make a nice background colour for a summer design.